July 31, 2018, 9:28 p.m.
July 31, 2018, 9:24 p.m.
And you know, right now we are very comfortable with where we are. We are guiding to 30% to 33% in Q3 of 18 and you know about solar industry every day I see the news I see it better and we are working on all possible ways to mitigate the tariffs. July 31, 2018, 9:06 p.m.
July 31, 2018, 8:58 p.m.
July 31, 2018, 8:42 p.m.
July 31, 2018, 6:39 p.m. 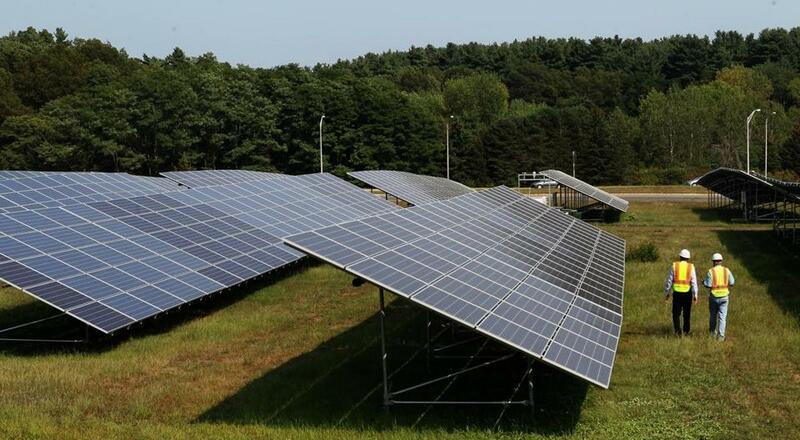 It was a dark day for the solar power industry in Mass. July 31, 2018, 6:10 p.m.
July 31, 2018, 6:07 p.m.
July 31, 2018, 5:27 p.m.
July 31, 2018, 4:23 p.m.